Twitter isn’t exactly the most intuitive social network – especially now that it has so many other features than it did back in the day when it was a simple platform for posting 280-character messages. Despite this, the Twitter "RT" is one particular trend that has stuck around since the very early days. If you're just getting started on Twitter, you'll want to know how to RT the right way. Here’s everything you need to know about it. “RT” is an acronym for “retweet.” It’s used when you want to push someone else’s tweet message to your own followers, usually so that the original user that tweeted gets credit and is notified that their message is being passed along. 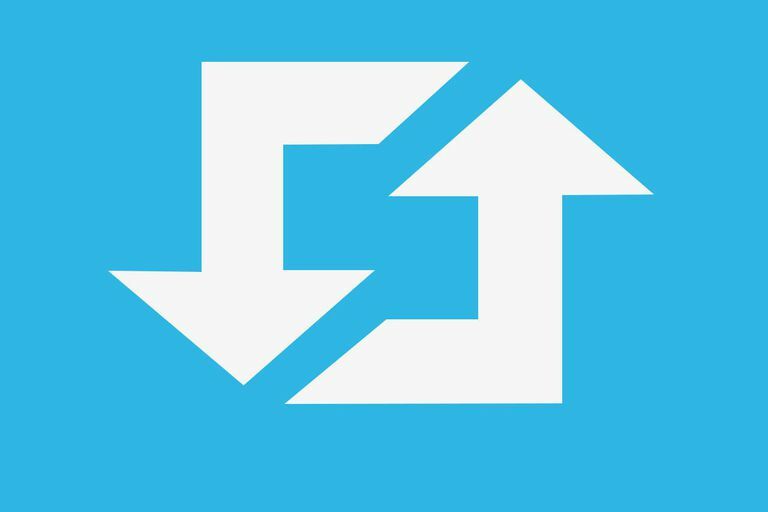 Select the “Retweet” button: The easiest way to RT someone is the interactive buttons that appear beneath every individual tweet. The RT button is characterized by two arrows following each other, like the one seen in the image above. Clicking or tapping this button gives you the option to have the entire message along with the original user’s photo thumbnail and name pushed to your personal Twitter stream, which all of your followers should see. It will show up on your profile with a label above it saying, “Name retweeted" – where your name will appear. Now if you don’t want to have someone’s entire message, name and photo thumbnail displayed in your stream on your Twitter profile, or if you want to make some changes to the contents of the tweet, you have a couple other options. RT @username: If you want to manually RT another user’s tweet, you can do that by copying the original message and adding “RT @username” in front of it where @username is the particular user’s Twitter handle. Putting “RT @username” in front of the tweet will send an @mention reply (found under the Notifications tab) to the original user, letting them know that you gave them an RT. Adding a message + RT @username: You can modify the “RT @username” by adding a personal comment right before it. For example, if you’re answering a question or adding your own thoughts to someone else’s tweet, the “RT” helps separate your comment from the retweeted message. It’s standard Twitter practice to often add a comment, followed by the “RT @username” followed by the tweet. Sometimes a user will edit the tweet a little bit so that everything fits within Twitter’s 280-character limit. Keep in mind that adding “RT @username” takes up character space in every tweeted limited to 280 characters. Important note: Twitter recently added an extra feature that makes the above message + RT @username strategy sort of irrelevant now. Whenever you click or tap the RT button on a tweet, there's always a field labeled Add a comment where you'll have 116 characters to type something that will be attached to the tweet you're RTing. The tweet you're RTing will show up embedded beneath your comment, sort of like how images, videos, and other media show up in Twitter Cards. Besides wanting to redistribute a message you like or agree with, why would you ever want to really retweet somebody? Well, it all comes down to socializing, of course. Get noticed: It’s hard to get noticed by keeping to yourself. When you retweet somebody, it shows up in their Notifications tab, prompting them to reply, like your RT, check out your profile or maybe even follow you. Build relationships: Users like it when their stuff gets retweeted. They may reach out to you and thank you for retweeting them, or they may return the favor and give you an RT. Push messages out to more people: A few lucky individuals who’ve been given an RT by a big celebrity on Twitter usually end up getting a lot of attention in return. If you can get your message out to more people, you’ll usually end up expanding your social circle on Twitter. Attract more followers: Sometimes, all it takes is one tweet to attract more followers. Other users who RT you may reach people you haven’t connected with, and if you’re lucky, they may see your message and decide to push that big “Follow” button on your profile.